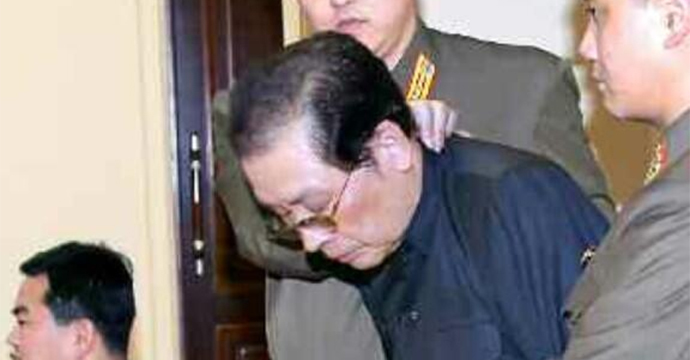 DATELINE: Pyongyang, North Korea -- Jang Sung Taek* led away after conviction by military tribunal. Days later, he is executed for crimes against the State... charges include not clapping hard enough for nephew & new Dear Leader, Kim Jong Un. Last year [Kim Jong Il] died, and his son Kim Jong Un was selected as his successor. Presumably there has been no change of plan, however: the son will be propped up and guided by the group surrounding his uncle Jang Sung Taek, with China's backing. Unfortunately for Taek, Murakami got it right the first time around.